Election night is finally here, so you probably want to know where you can watch every special covering the historic presidential election. Seeing as it is 2016, you probably want to know if you can watch any coverage online, including social media, right? For example, is Stephen Colbert's election night special on Facebook Live? 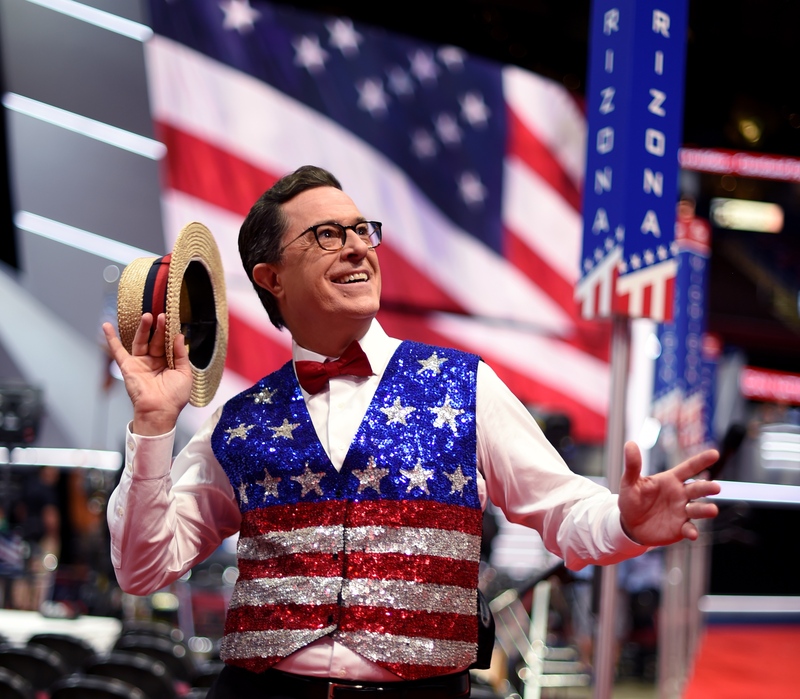 The anticipated event, appropriately titled Stephen Colbert's Live Election Night Democracy's Series Finale: Who's Going To Clean Up This Sh*t? is set to broadcast on Showtime at 11 p.m. EST, and there is some good news and some bad news if you want to watch online. First, the good news. You can check out The Late Show With Stephen Colbert host's special on Facebook Live. However, the bummer part is that you will only be able to watch part of it. According to Variety, "Colbert’s uncensored monologue will be streamed on Facebook Live via the Showtime Facebook page." That's better than nothing, though, right? When it comes to most specials, like award shows and Saturday Night Live, sometimes the opening monologues are the best part. So, really, this is a super nice gift from Showtime, especially if you consider yourself a huge fan of Colbert. And you'll most definitely want to tune in, because there's always a chance you may see one of his very special celebrity guests in the monologue, including Katy Perry, Patton Oswalt, Nick Offerman, Jeff Goldblum, and Larry Wilmore. And if you are able to watch the full special, if you're hoping for an appearance from "Milania Trump," aka Laura Benanti, you're in luck. Showtime confirmed (via The Hollywood Reporter) that she will join Colbert's election special. Even if you can only watch the monologue, the late-night host probably won't be holding back, so you'll definitely want to check it out.